"Will the Gorillinators get their 'Tough' shield?" "Can an orc disengage from a Knight of Weston without a swipe from their Coward's Reward ability?" 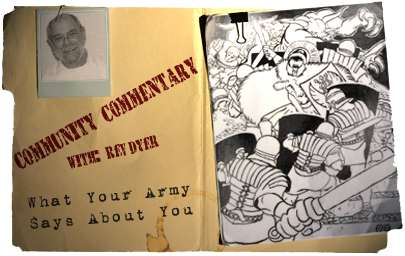 "If my Deadeye's engaged, can he still Sharpshoot somewhere else?" Sound familiar? How many times has a situation like these arisen in one of your battles? The wording on a Heroscape unit card is explicit and to the point. If care is not taken in its interpretation, you may end up missing a key point or making a drastic mistake. Here at Heroscapers.com we love to show off the work of our members. The creativity that pours out of so many of the people on this site never cease to amaze me. 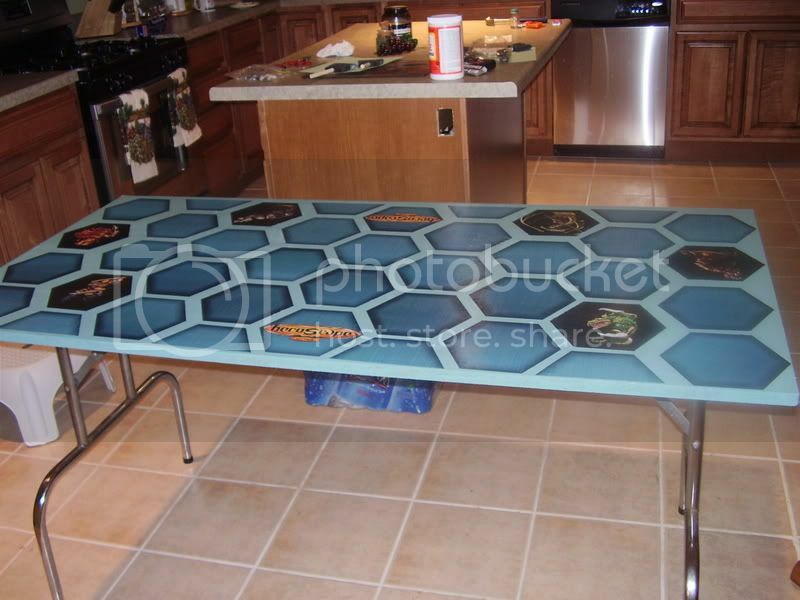 Recently one of our members, known as C28525, refurbished an old table into a beautiful Heroscape themed table for playing on. He's going to show us just how he did it with some step by step instructions just incase you want to do-it-yourself. So let me just hand the mic over to C28525 here, and let him run with it. First off I need to give a big shoutout to InfinityMax, it was his initial design of a dice tower that inspired this table. He also helped get the sizes and hexes together to make this thing. He is a genius!